“In a very real way, I consider my clients’ problems to be my problems. Once that happens, you have no option but to figure out a way to fix the problem." Michael has tried just about every kind of case that goes to a jury. 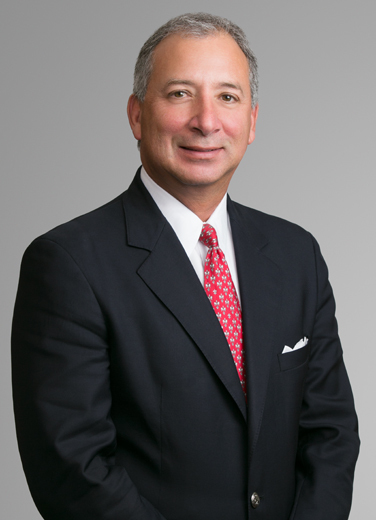 He has also represented governmental agencies and officials, and has argued before numerous appellate courts throughout the U.S., including the Texas and Louisiana Supreme Courts and the U.S. Court of Appeals for the Fifth Circuit. "I guess if I had to describe what I do best, I would say that it is being able to tell compelling stories to 12 people at a time," Mike notes. “Sometimes my job is to take a complicated legal and factual scenario and boil it down to one or two sentences that will catch the jury’s attention. For example, don’t try breach of contract cases – try broken promise cases. That’s because not everyone on my jury will have dealt with the breach of a contract, but every one of them will have experienced a broken promise. My job is to make my client’s position relatable to 12 strangers." Mike is not only respected by his peers, but has been recognized by them for his outstanding trial work, has been quoted in advocacy textbooks and has taught advocacy skills throughout the U.S. and Canada. He is a faculty member of the National Institute of Trial Advocacy and has been consistently honored in numerous publications. Defended national companies in employment litigation brought by the EEOC and by individual plaintiffs in courts throughout the U.S.
Michael believes that his support of various community charities and causes is a personal matter, best accomplished quietly.